Chatham, Kent – 13 March The Season Pass for Euro Fishing has ended but that doesn’t mean the fishing action is over! Dovetail Games has announced The Moat, the forthcoming add-on that continues the studio’s thriving post-release support for Euro Fishing. 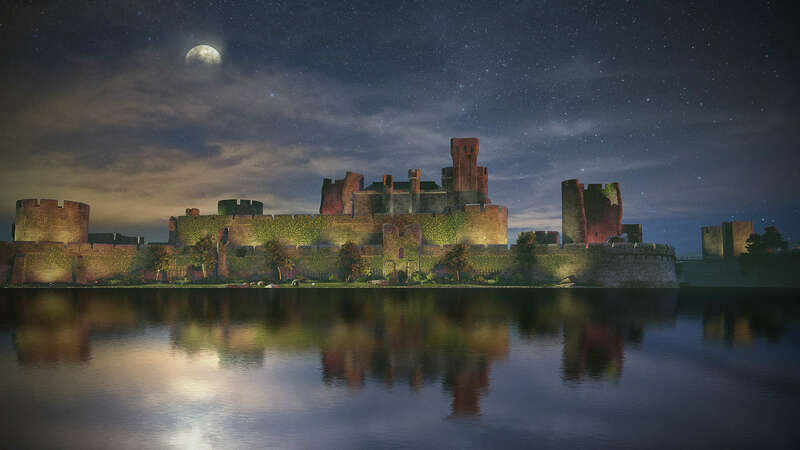 The Moat takes place in the waters surrounding a historic Welsh castle, adding dramatic Instagram-ready backgrounds for all your catch shots. You’ll get the chance to pull some enormous catches from the 10-acre lake too, with Carp and Catfish up to 55lbs among the many challenging fish prowling its waters. There are 11 different species of fish to be caught in The Moat, including the brand-new species of fish Rudd, which can be caught in Euro Fishing for the first time ever. Along with 19 new boss fish and 10 new trophies to unlock, it’s another huge helping of content for Euro Fishing fans, adding yet another stunning venue for anglers to enjoy. Join us at 16:00 GMT over on our Mixer channel - https://mixer.com/DTGFishing - for a special launch stream of The Moat.